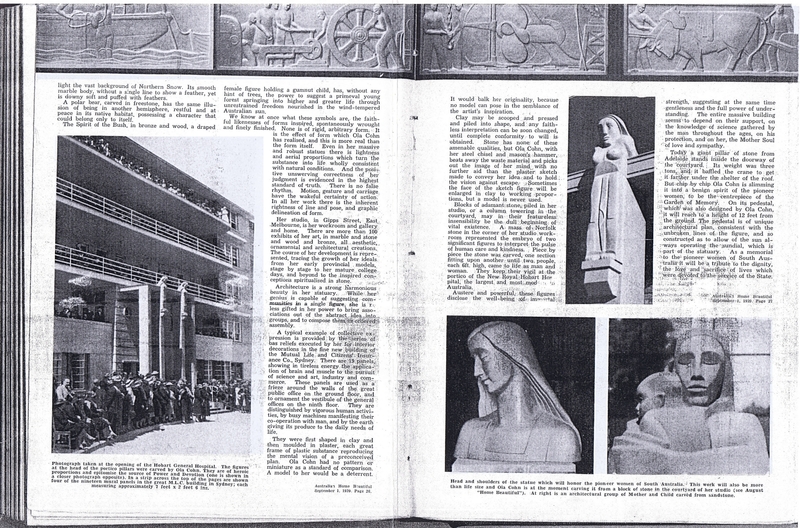 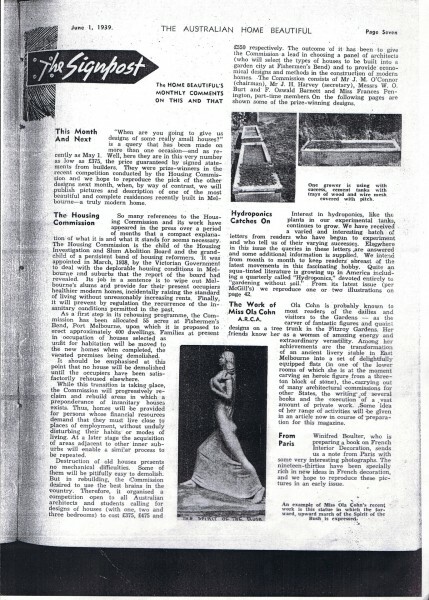 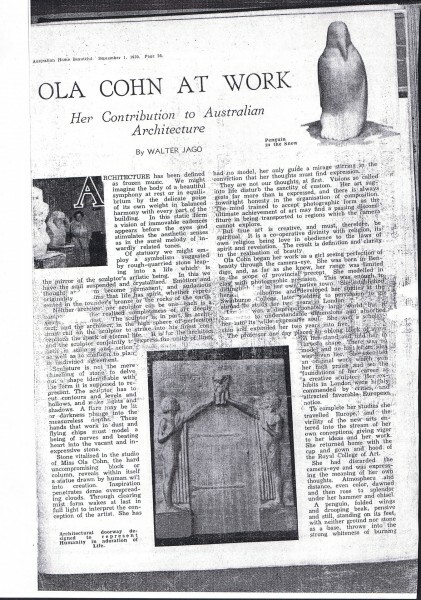 Two photocopied magazine articles about Ola Cohn, her home, and her sculpture. 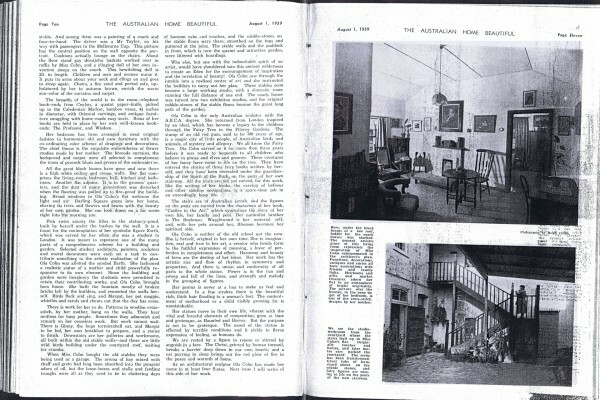 Includes 'Transforming a Livery Stable: Miss Ola Cohn in Her Studio Home' by Walter Jago in The Australian Home Beautiful, 1 August, 1939; 'Ola Cohn at Work: Her contribution to Australian Architecture' by Walter Jago in Australian Home Beautiful, 1 Sept., 1939. 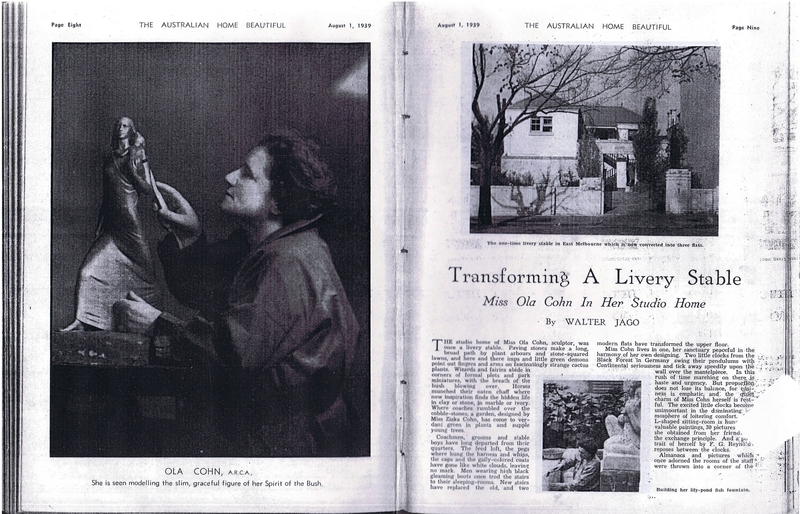 Photos of Ola Cohn, her studio (exterior and interior), and some of her work.